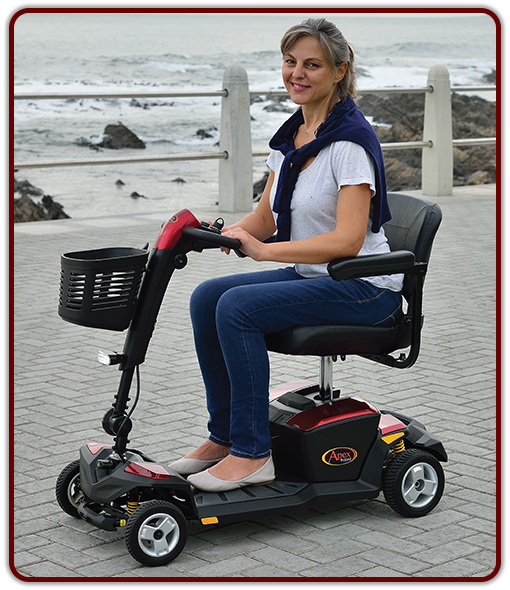 Introducing South Africa’s first travel mobility scooter to feature ground breaking all-round suspension. 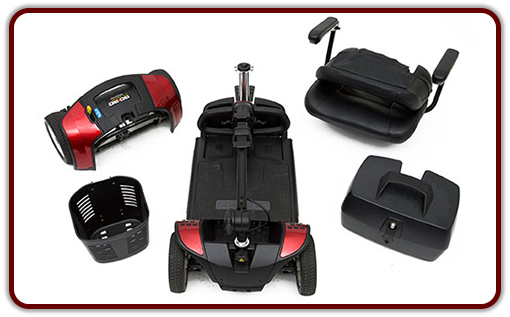 The Apex Rapid with CTS (Comfort-Trac Suspension) delivers a luxurious ride and convenient features like a wraparound delta tiller with a high level charging port, LED kerb light and a storage basket together with a compact, easy to transport design. Sleek styling complements the Apex Rapid’s abundant features making it an exceptional travel scooter of choice. 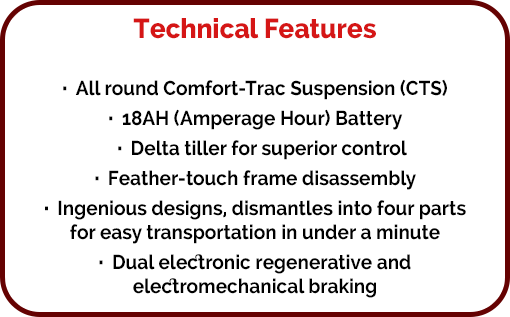 Those with back or hip problems will fall in love with the comfortable ride.